The MHE Gator features a 9-mm diamond deck, I-beam underdeck and auto-tilt technology. 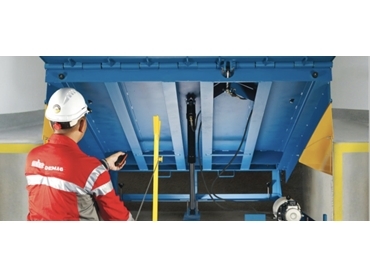 As MHE-Demag enters the Australian dock leveller market, they bring with them the new GATOR series - designed to be the toughest and safest dock levellers in the industry. 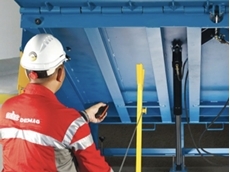 With a heavy-duty 9 mm diamond deck, I-beam underdeck support and auto-tilt technology, the GATOR is built to absorb immense structural forces with ease. 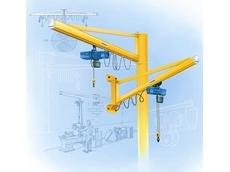 It also comes with a host of features to enhance safety during operation and servicing. The GATOR is ideal for heavy-duty usage in the loading bay, enhancing speed and ease of goods flow for your logistics operations. 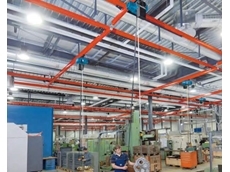 With superior safety features the GATOR is designed to prevent accidents and injuries. 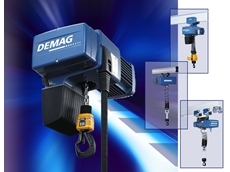 Easy access, via remote control and a maintenance strut with retrieval hook, allows maintenance by a single person. 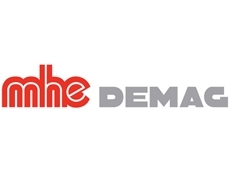 21/09/16 - MHE-Demag has entered the Australian dock leveller market, bringing with them the new GATOR series of dock levellers. 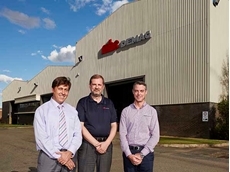 18/06/15 - Demag Cranes & Components (DCC) Australia has been acquired by materials handling group MHE-Demag, helping expand its footprint in Asia-Pacific. 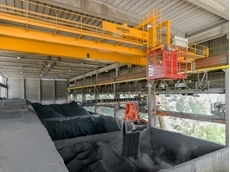 04/02/14 - A warehouse management system and a process crane from Demag have been installed by a Belgian cement manufacturer to automate their raw material store. 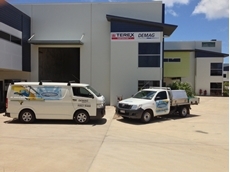 18/11/13 - Demag Cranes & Components announces the opening of a new facility in the Townsville region. 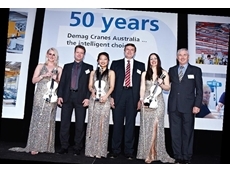 07/09/12 - Demag Cranes & Components is celebrating 50 years of operation in Australia.